Drugs in U.S. Food and Drug Administration clinical trials could be used by eligible Nebraska patients under a bill advanced from general file March 1. LB117, introduced last session by Omaha Sen. Robert Hilkemann, would allow an eligible patient under the Investigational Drug Use Act to be treated with any drug, biological product or medical device that has successfully completed Phase 1 of a clinical trial but has not yet been approved for general use by the FDA—provided that the drug remains in an FDA-approved clinical trial. 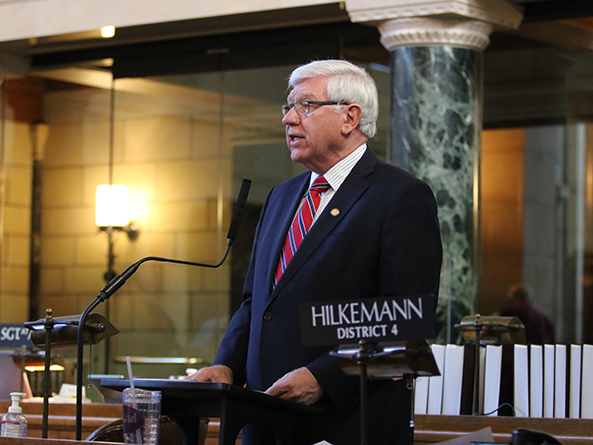 Hilkemann said the bill would offer hope to patients facing terminal illnesses whom conventional medication has failed. • have a recommendation from his or her treating physician for an investigational drug, biological product or device. Under the bill, a manufacturer could provide an investigational treatment without compensation and would be prohibited from seeking reimbursement for such treatment if an eligible patient dies while being treated. In addition, a treating physician would not be held liable if a treatment failed to work or be subject to action by a professional board based solely on a recommendation of the use of an investigational treatment. Sen. Mike Hilgers of Lincoln expressed support for the bill’s ultimate goal but opposed it on constitutional grounds. Federal law governs clinical trials and expressly prohibits the sale and use of drugs that have not been approved by the FDA, he said, and the U.S. Constitution is clear that federal law trumps state law when the two conflict. “No matter what we think of the policy or its goals, I think we always have to ask if we have the authority to do what we’re trying to do,” Hilgers said, adding that Congress would be the proper venue to address the issue. Heartwell Sen. John Kuehn offered a motion to bracket the bill, which he opposed for a number of reasons. 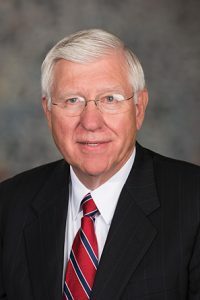 Calling the measure “feel-good legislation,” he said LB117 would undermine the FDA approval process and raise a number of ethical concerns while giving false hope to vulnerable patients. Kuehn said that many patients’ rights groups have opposed similar legislation in part because desperate patients cannot give informed consent when the impact of drugs that have not completed the FDA process is not known to manufacturers or doctors. In addition, he said, the bill would give complete immunity to providers, some of whom could be bad actors. “[There is] a very real possibility that this bill exposes patients and families—at their most vulnerable time in health care—to exploitation,” he said. Albion Sen. Tom Briese said that similar laws in other states have not been deemed unconstitutional by the court system, so it is not possible to say definitively whether LB117 would withstand a constitutional challenge or not. Patients who assume the risk and the cost of using investigational drugs should be able to make their own choices, he said. Sen. Sue Crawford of Bellevue opposed the bracket motion. The bill is not an attempt to pre-empt federal law, she said, but rather a way to “create some wiggle room” in the federal prohibition on the sale and use of unapproved drugs. “As a state, we’re saying that for these particular patients—in this particular situation—we’re making an exception,” Crawford said. The bracket motion failed on a vote of 11-30. Following adoption of a technical Health and Human Services Committee amendment on a 29-9 vote, the bill advanced to select file 33-12.